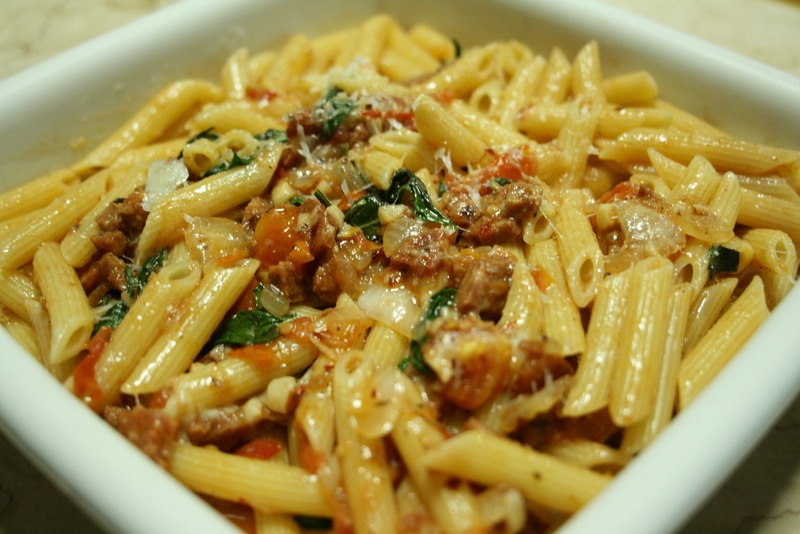 Pasta dishes are probably the fastest meals you can whip up in the kitchen. All you really need is some garlic and olive oil, and you’re done. Fortunately for our hungry bellies, we had more than that last Monday night when Mister M came over. I tossed whatever I found in the ref into the pan and came up with a pretty good dinner. 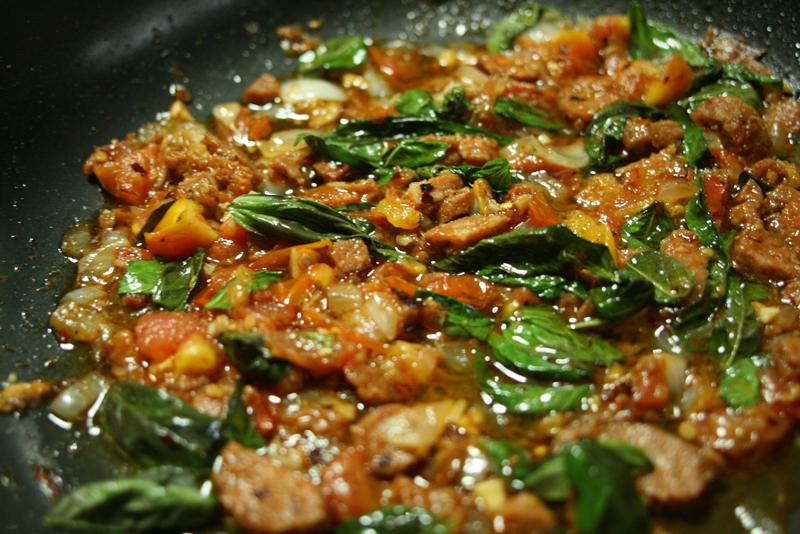 Red, ripe tomatoes, chorizo, onions, garlic, fresh basil, chili flakes and lots of olive oil. I must have had three servings of pasta but was only slightly remorseful. This was too good! Thinking about it now is making me want to cook it again. Mmmmm. In a pan, heat olive oil and saute’ onion and tomatoes until tender. Add chorizo and garlic and saute’ for another 5 minutes. Add chili flakes, salt and pepper, and remove from heat. Add basil. Toss in the pasta and serve. No wonder the scale said I gained three pounds. Tee hee. Oh, well.